This long driveway in Franklin, Mass is constructed of crushed bank gravel that has been compacted as if asphalt would have been installed over it. It is a solid driving surface yet it drains water right through it. 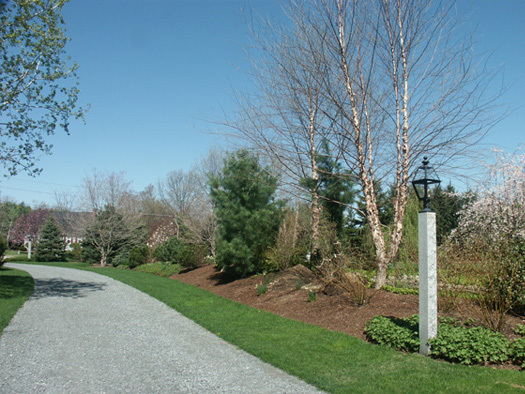 This eco-friendly landscape choice is also beautiful with the lawn edges and tree lined berms.